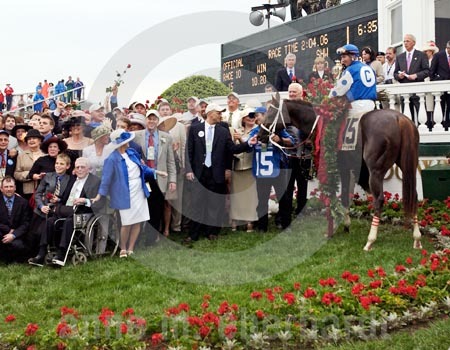 Undefeated Smarty Jones became a fan favorite when he won the Derby. That was a great day for racing, but, the weather was less than ideal. It was all about keeping your cameras as dry as possible. Camera raincoats were in demand. Aquatech provided the high end raincoats, OpTechUSA made a nice one and much less expensive, and some opted for baggies! Digital cameras, like the D1X I used, needed protection since we are now using computers housed in a camera body. 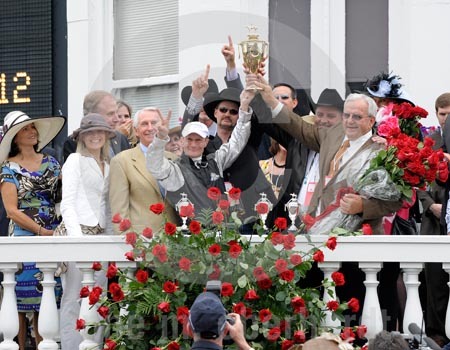 While most ignored the longshot who generated the second largest win payoff ($102.60) in Kentucky Derby history, I had followed Mike Smith throughout his career and knew better than to look past him. 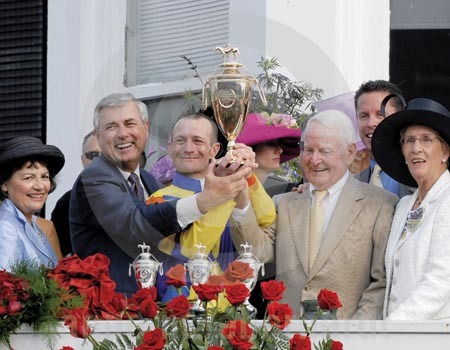 I backed 1994 Derby favorite Holy Bull with Smith up, and here was Mike again on a son of Holy Bull! I was armed with the latest Nikon digital camera, the D2X. The file size was huge and the speed was good. 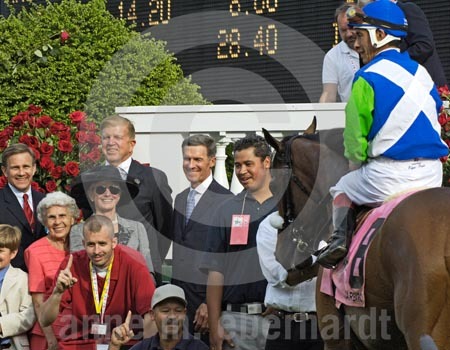 I was positioned in the owners section for Barbaro’s Derby win. Most of the owners are located in one area except for a few that have their own boxes in other areas. Roy and Gretchen Jackson, and Michael and DD Matz, winning owners and trainer respectively, were in a box about 10 rows down. As the horses came down the stretch I knew I had a non-shot. 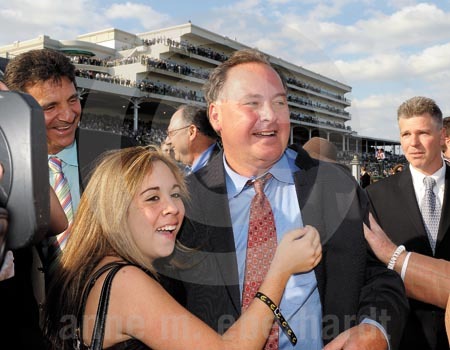 I maneuvered through the crowd and got in front of the winning connections and headed to the winners circle. 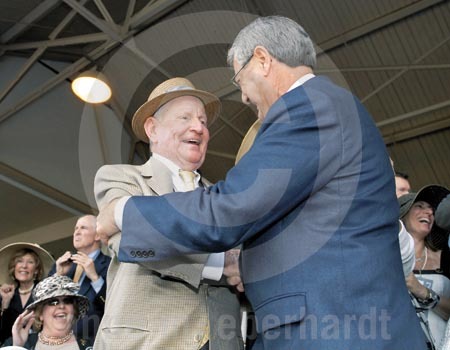 This year the owners section shot paid off with owner James Tafel and trainer Carl Nafzger celebrating. 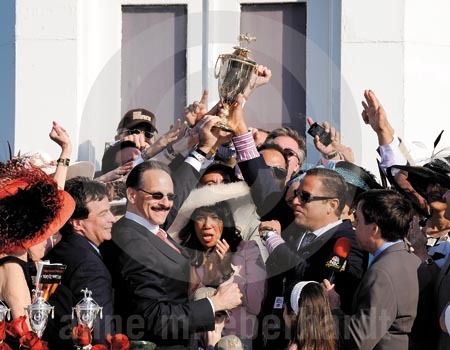 I photographed them as they crossed the track and took their place in the winners circle and for the trophy presentation. Calvin Borel made a nice move on the rail of the final turn to start his move and win at the finish. Two stories emerged in 2008. An impressive win by undefeated Big Brown, and the tragic loss of Eight Belles. I followed the winning connections to the winners circle. I set up in the winners circle not knowing anything about the tragedy unfolding on the backstretch. 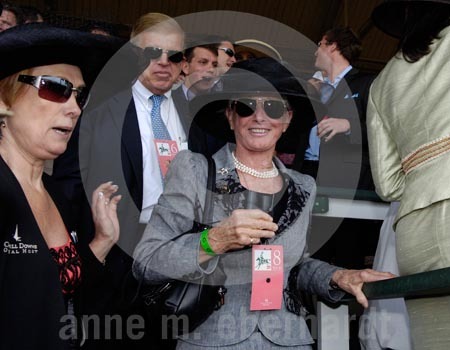 Phones started ringing; it became a distracting situation as we photographed the Derby winner. 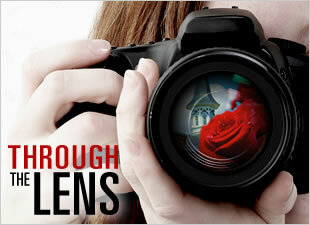 I was now using the D3 Nikon digital camera with a terrific ISO option and very little noise. Nikon hit a home run. Calvin Borel went through on the rail again for an amazing ride and victory. I was surprised by the winner but what a wonderful story. 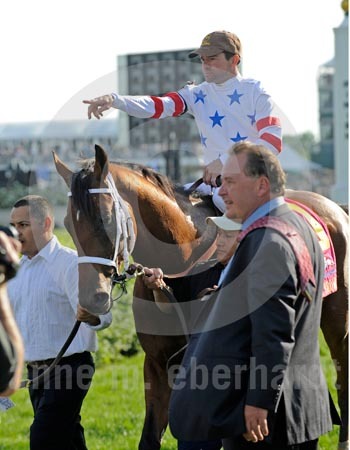 Calvin paraded Mine That Bird up and down the track for all the fans.